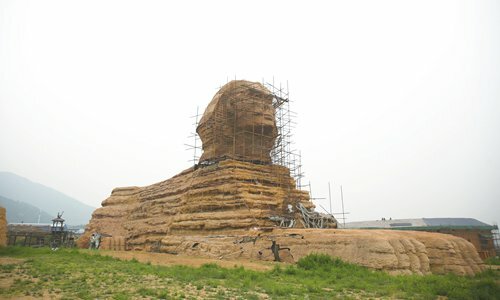 The head and body of a once dismantled replica of the Great Sphinx of Giza were recently reunited on the outskirts of Shijiazhuang, North China's Hebei Province. 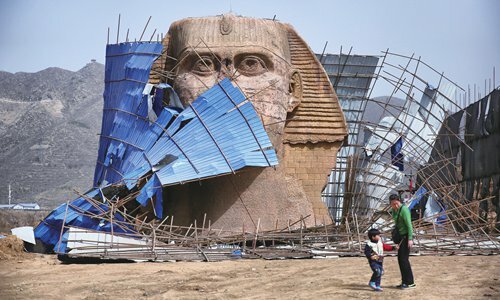 Back in 2014, the replica Sphinx angered Egyptian authorities and met with an international backlash. According to Egyptian newspaper Al-Ahram Weekly, the Egyptian Ministry of State of Antiquities filed a complaint with UNESCO in 2014 to express strong disapproval of the unauthorized full-sized replica. At the time, Minister of Antiquities Mohamed Ibrahim told media that the replica was "a bad imitation that disfigures the original" and harmed Egypt's cultural heritage. 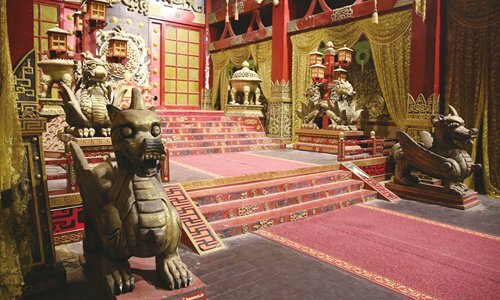 The statue belongs to a large theme park that also serves as a production facility for movies and TV shows. 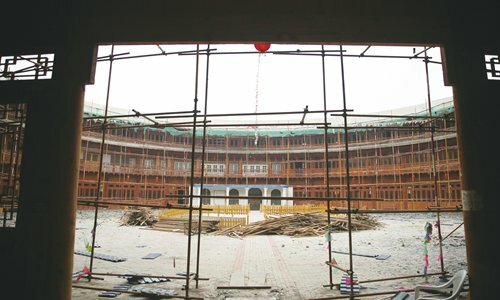 Staff with the theme park company responded to the complaint saying that the replica was merely a film prop and in no way undermined world heritage, according to a Beijing News report. 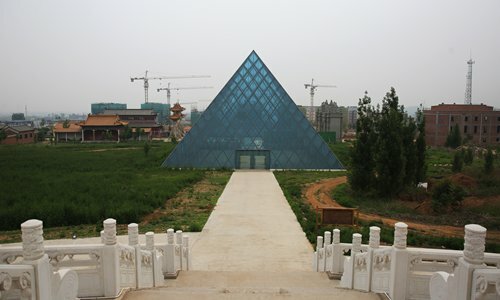 Despite this, the company dismantled the replica in 2016. No official statement has been issued yet as to why the statue has returned to its original location. Measuring 20 meters high and 60 meters in length, the statue is an exact replica of the original statue in Egypt. 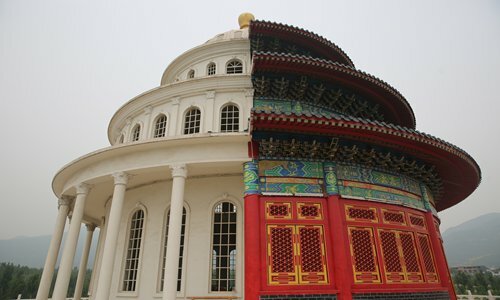 In China, imitations of iconic international sites are common, such as a replica Eiffel Tower in Hangzhou, Zhejiang Province and a replica White House in Shanghai.